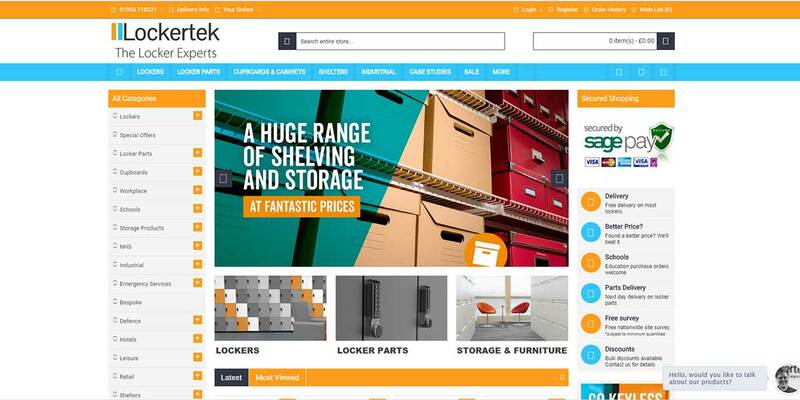 Lockertek asked me to create an eCommerce website to sell their lockers online. An important consideration for them was that the system had a high level of functionality from the outset. I have added modules to the system to help with SEO, so that the site can achieve high rankings in the search engine results pages (SERPS). I have also incorporated a page speed module, so that the site loads quickly. As standard the system that I use, comes with a blogging module. An essential ingredient of any modern website in order to driver as much traffic to the site as possible. The site is under HTTPS. Standard these days for all websites and absolutely essential for an eCommerce platform. If you are a retailer and you’d like to talk more about how to get your products online, give me a call on 01603 383477 or fill in my contact form.